For Students | Office of Safety and Emergency Preparedness, U.Va. Safety is vitally important to every member of the UVA community. Take responsibility for your safety and the well-being of others in your community with the new Student Safety Guide. 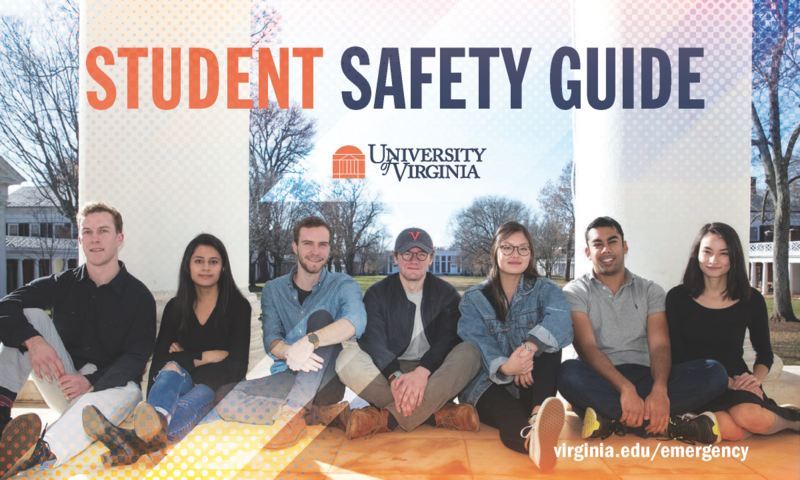 The Student Safety Guide is distributed to all first year students when they arrive at UVA. If you or a friend ever needs help, call 911. The police want you to call. Knowing what to do in an emergency is critical to your safety. 10 Things to Know in an Emergency is a PowerPoint presentation used for student training. If you discover an emergency situation, call 911. Depending on the situation, evacuate or shelter-in-place. Absent official instructions, use best judgment. For your safest response, refer to the Emergency Procedures Poster. Make one phone call to let someone know you're okay, but do not use the telephone again unless it is a life-threatening emergency. Protect yourself first. Do not attempt to save property. Assist others, but do not exceed your training or knowledge. Get a Kit - Gather personal emergency supplies in a portable container. Include unique items you may need, such as prescription medication. Make a Plan - Plan whom you will contact, what you will do, and where you will meet in different situations. 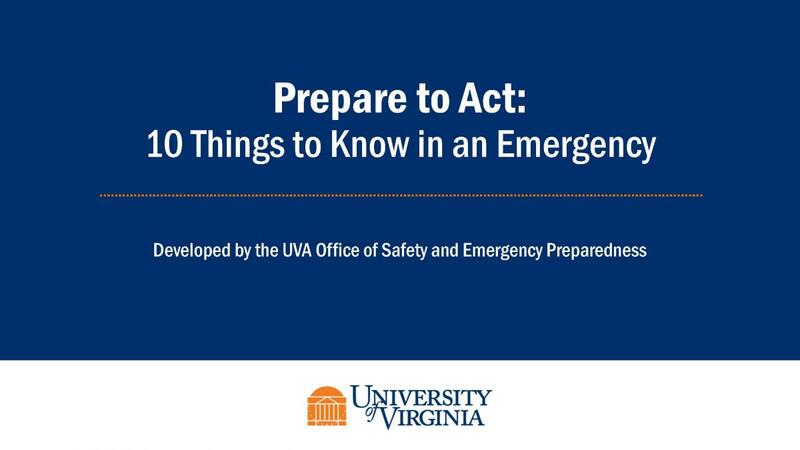 Be Informed - Learn about the potential emergencies that could happen in the UVA community, the appropriate way to respond to them, and where to get up-to-date information.